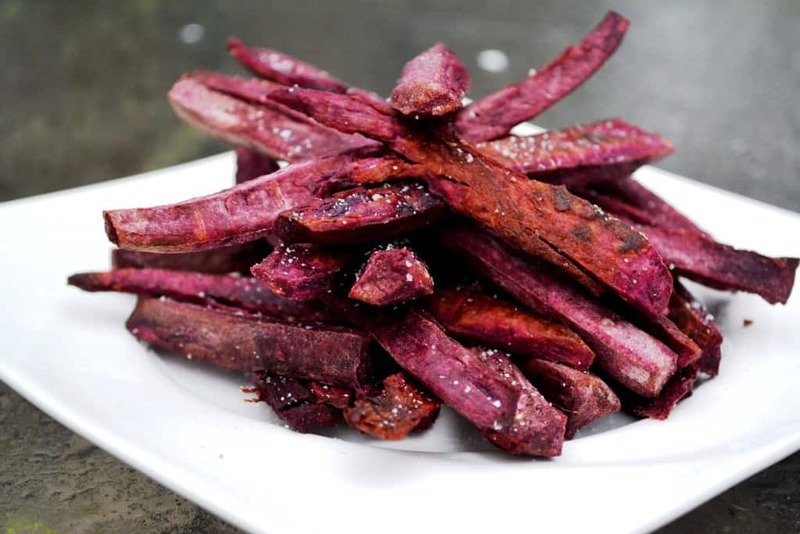 Got purple potatoes and dont know what to do with it? 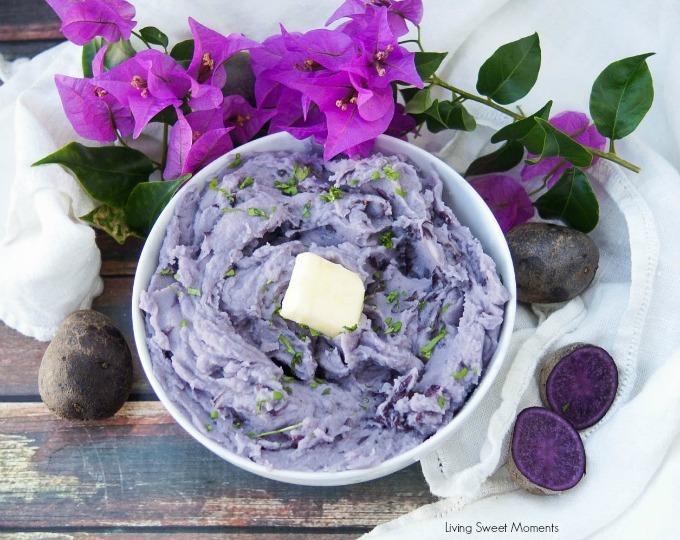 Here is a roundup for ideas and recipes you can make using purple potatoes! 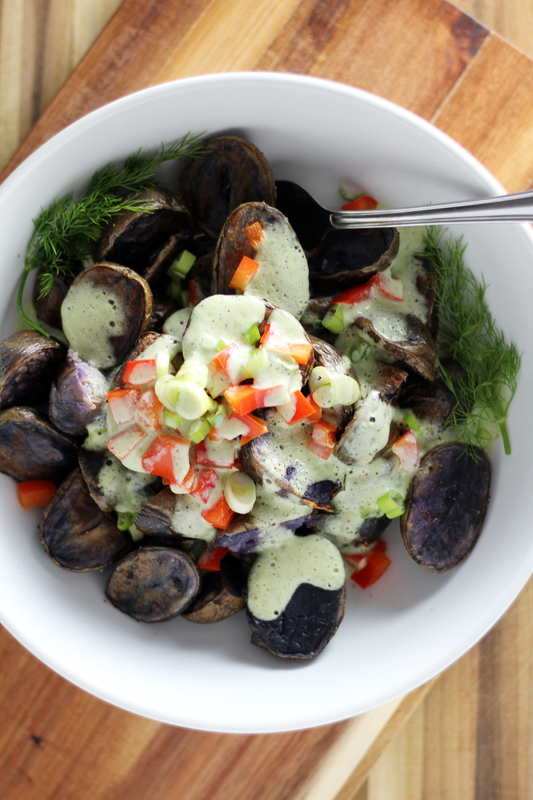 Purple potato salad with Greek yogurt dill dressing. Asparagus Purple Potato Salad is a light salad perfect for a bbq or summer lunch. These Purple Mashed Potato Pancakes with Garlic and Pancetta should be served at every cocktail party. Roasted Purple Potato Soup – a colorful, flavorful bowl of comfort food. Nutrient rich vegetables and rich creamy cashew milk are a delicious combination! This lightened up potato salad is honestly the BEST you’ll ever eat and so easy to make! Perfect for a picnic or a potluck. Easy vegan potato salad made with sauteed arugula and spinach. Topped with pesto. This vibrant Purple Sweet Potato Pie with Coconut Topping is easy to make and a real showstopper! 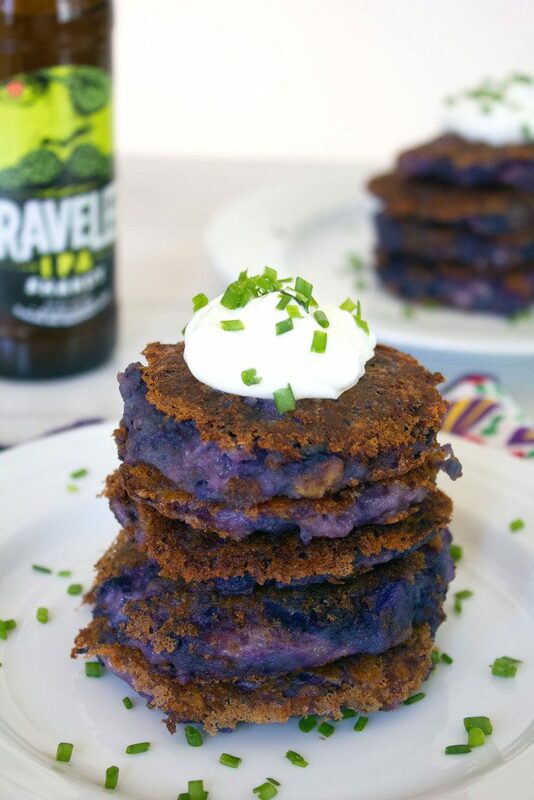 When you’re looking for a change up at the breakfast table these purple sweet potato waffles can satisfy your needs. If you love perogies and are looking for potluck ideas, you will love this gluten-free perogy/pierogi potato salad recipe. This Sorrel & Duck-Fat Fried Purple Potato Breakfast pizza is the perfect way to start the morning. 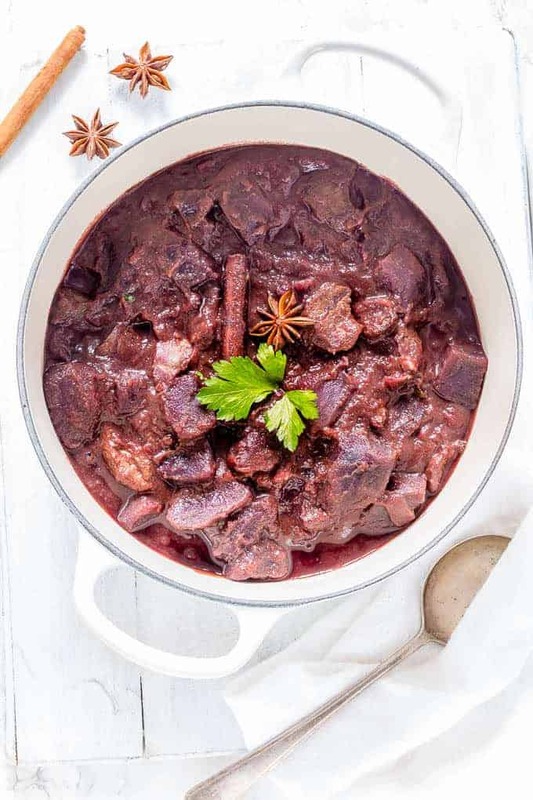 It is easy to make ahead, and so delicious it make you actually excited to wake up on the weekend! Eggs in sweet potato apple nests make a great brunch recipe for entertaining. They’re gluten free, dairy free, paleo, and Whole 30 friendly. Slightly crispy on the outside and full of potato goodness inside, these potato pancakes make for great snacks that are easy to whip up with simple ingredients. 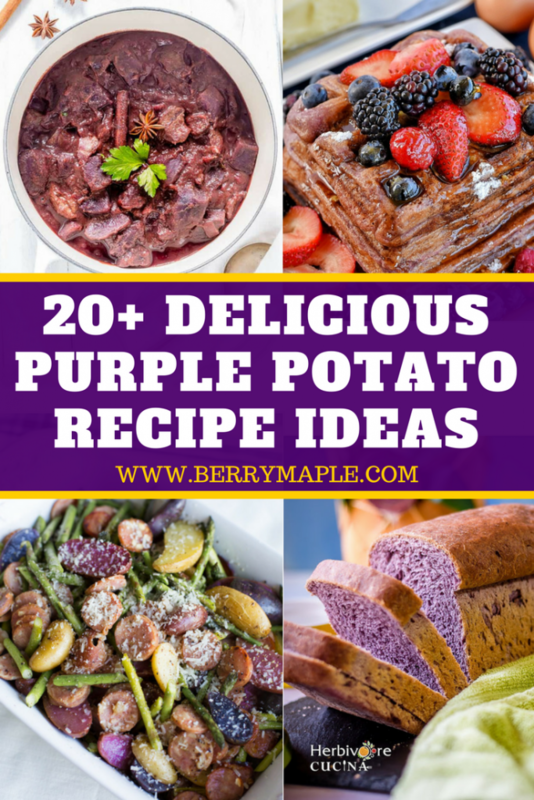 Thank you for reading about this purple potatoes recipes ideas! Enjoy! 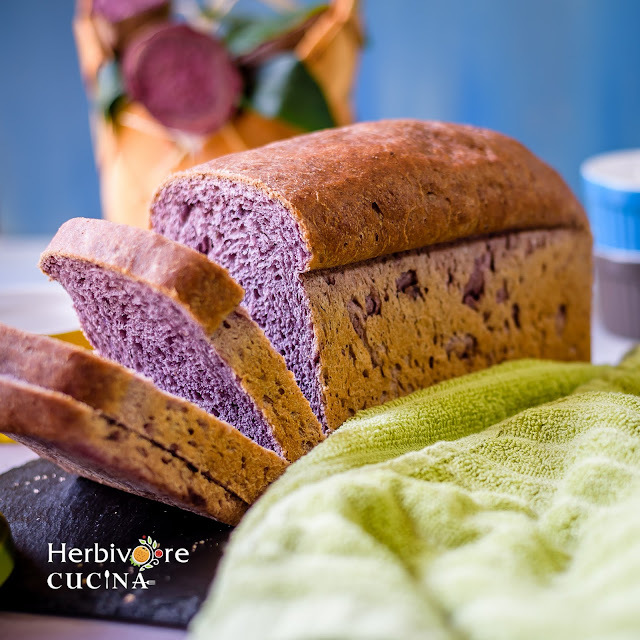 OMG – I love, love, love the purple potato bread. I think I NEED to make that.